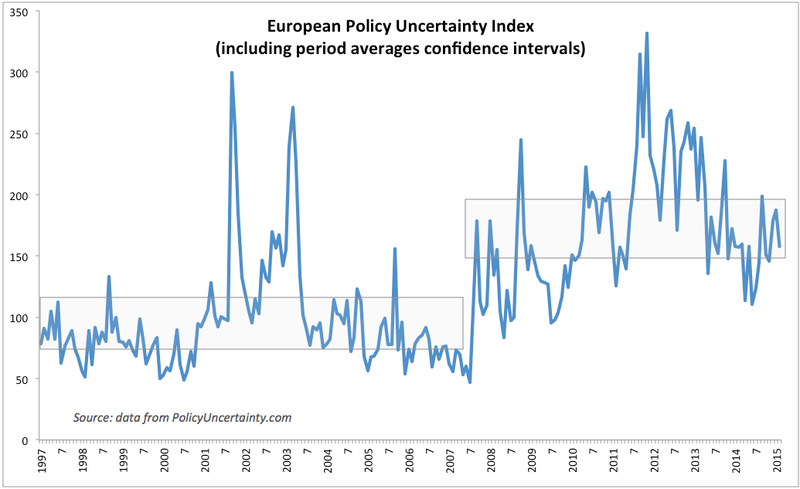 The latest reading for the European Policy Uncertainty Index (measuring economic policy uncertainty as reflected in the media sources) has continued to trend within the range of the crisis period averages in April-May 2015. 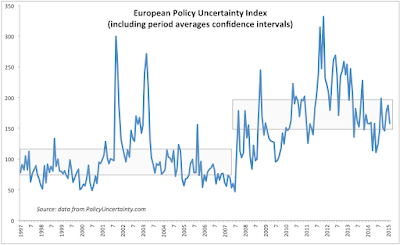 This range has been now sustained since September 2014 when the index reversed local decline to below-average levels over the sub-period of March 2014 - August 2014. 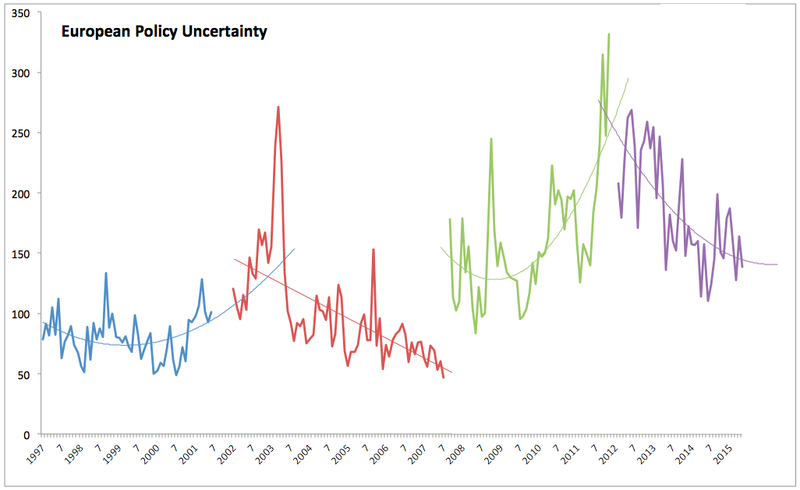 Over time, we continue to trend within the post-crisis regime associated with above-historical average levels of policy uncertainty. 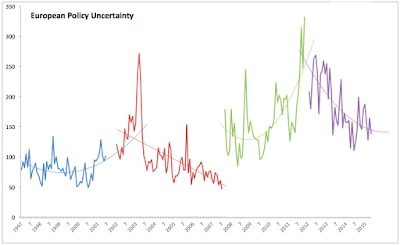 The trend toward uncertainty decline in the post-crisis period has now slowed down and showing signs of potential reversal despite the media overwhelmingly tending toward a positive news reporting selection bias.